A Bloomsbury Quid, Paperback original. I have no idea what this tiny booklet is about, because as you can see on the left there's no clue on the back. Or is there ? ... and back to dutch-flybaby. Please make a journal when you receive or mail the book, so we all know where the book is at all times. I appreciate a few words about whether you liked the book and a rating. I'm going to give this bookring to whomever I see at the meeting tomorrow in Enschede that is on the reading list or to someone who will give the book to a ringparticipant for me. Happy reading! 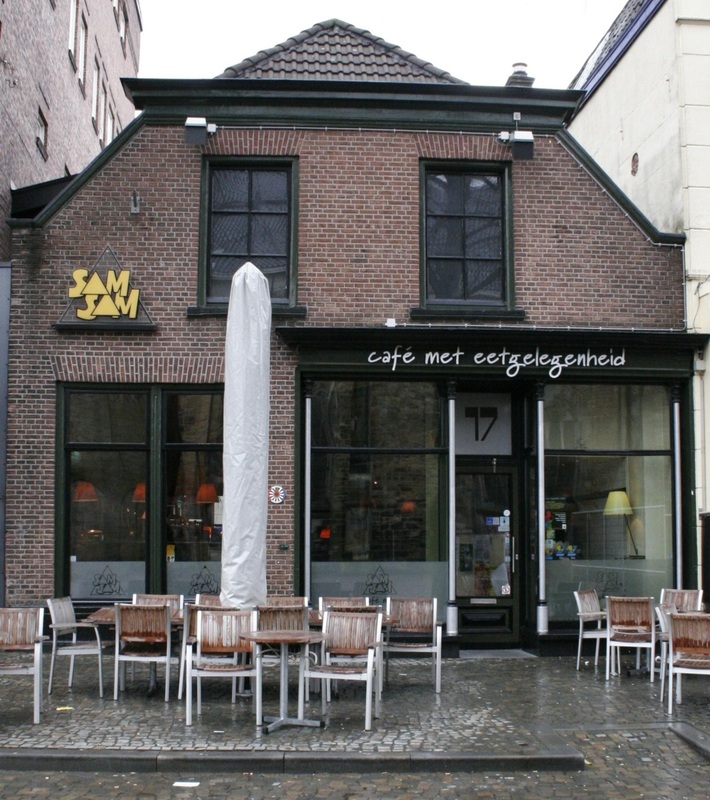 't Is een klein boekje, dus hij staat met stip bovenaan mijn leesstapel. Ik had 't boekje ook snel uit, maar daarna heeft het nog een tijdje bij me liggen treuzelen. Vandaag op de post gedaan naar Wollie. dank sam_, voor dit boekje. wat een mooie uitgave zeg. lekker om met dit hete weer in de schadow op mijn balkonnetje te lezen. oe, ligt dit boekje al bijna 2 maanden bij mij..? maar; nu uit! ik vond het een mooi verhaal, had ook wel het idee dat het best een hele roman had kunnen worden. Lag gisteren in mijn brievenbus. Bedankt wollie! 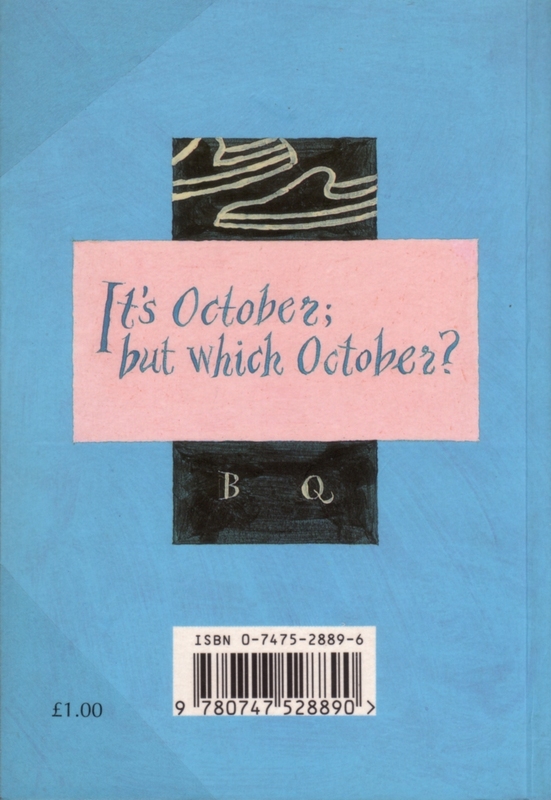 It’s October, but which October? One of those Octobers, with their quick intensities of light, their diminuendos, their red and orange leaves. My father is sitting in his armchair by the fire. Have I not read anything of Margaret Atwood yet?! This short story makes me want to. Although I agree with former readers that this story seems to be a start for a novel, Atwood makes touching observations of people and describes them beautifully. This little book will travel to Plinius tomorrow. A book! I found this in the postbox on the way to the hairdresser's, finished it before I left there. 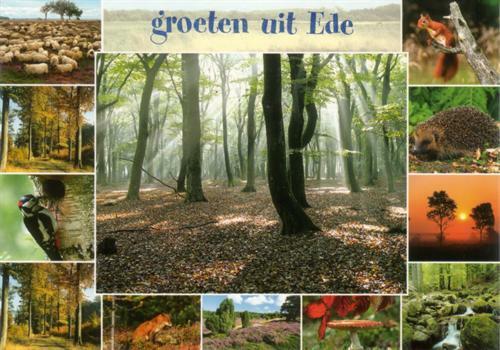 Thanks for sending, Olifant, and what a beautiful postcard! I loved the story of the explorers losing their way and losing their strength to go on, and the old man who similarly loses his way and his strength. A small gem, needn't be larger. I think I have Omalot's address, so I'll send this on tomorrow. Surprised by finding this book in my mailbox, never thought about this bookring again! Will read it asap, your comments make me curious about it. Plinius thank you for the beautiful postcard!! oktober 13th , not really asap,shame on me. Finally read it!! What a wonderful, sweet book. The loving way the daughter speaks about her father and weaving the explorers-story into it. A booklet of love and exploring, discovering a country as well as discovering a way to communicate. This just arrived at my doorstep. I will finish it tomorrow, most likely. Margaret Atwood never fails to leave me with a lingering sense of being forlorn, when trying to indentify with her characters. The people in the Labrador region, the father, the child who is unable to do something, they all seem so lost. That is her quality, I suppose. I liked this book. I will send it on to Fenna today. I have a two-day meeting starting tomorrow, I will take this booklet with me (if I happen to get a chance to read). Thnx for including me into this bookring! I read the book during the meeting I mentioned. I really enjoyed myself. The analogy of the travelers being lost in the Labrador winter and the father being lost in his Alzheimer (argh, wrong, he has a series of strokes) is touching. Not overdone at all. I keep loving Margaret Atwoods writing. Thnx Dutch Fly-baby for approaching me for this ring!. If anyone should want to start another bookring/ray of any of Atwood's books, count me in! I will forward the booklet to Nefertete asap. Deze week met de post; een kleine boekenring. Ben benieuwd! Very nice little book to read. Enjoyed it. Since I am last on the list, on its way back to the owner. ... and back to dutch-flybabe and on to dutchbooky, yilla en MaaikeB. 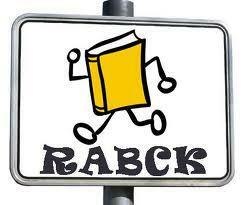 Row little book, row all the way to Canada :-) Happy reading sqdancer! Arrived safe and sound. Since it is such a little book, I should manage a quick turn around for it. Thank you for sharing this book and for the beautiful postcard. Sent off to squirrel818 via oversized letter mail, yesterday. received in the mail today. I'll read it and get it on it's way asap. Thanks for shring! This arrived in the post and will join the stack of books to be read. This tiny volume is a short story written by Margaret Atwood in a perfect bound, small book format. It's very well designed and lovely to read. The story is wonderful and achingly beautiful. It shares commonalities with some recent very personal events, thus there were aspects of the story that resonated with me. This also dove-tailed nicely with WILDERNESS TIPS, a collection of Margaret Atwood stories that I'd just finished. I actually liked THE LABRADOR FIASCO better than most stories in that collection. In thumbing through the back pages, it appears Bloomsbury Quid is a series available in the U.K. only. Pity, there's a T. C. Boyle book in the series that I'd love to read. Thanks so much for sharing this book! jherusalem is next in line. It will be sent via post with the next batch of items to be mailed. A short piece, very well written (but then again, it's Margaret Atwood). Thanks for letting me read it! Great little book! I enjoyed this quick little read. This book is being mailed off today to the next available BookCrosser on the ring. Thanks for including me! I caught this book in my mailbox. I read it right away and really enjoyed it. I'm a big fan of Atwood. Someone mentioned that Atwood's books often leave a forlorn feeling. I have found that also. Nevertheless I enjoy them. I caught this book at work. It's 9:50 a.m. I'm tempted to shut my door and read this right here and now, but will wait til this evening. I also couldn't help but notice the list of other "Bloomsbury Quids" available. I wonder how I can get my hands on those? Thanks dutch-flybabe, kaije and everyone between for the chance to read this. I do love Margaret Atwood's writing. I compare my experience with this story to my first experience with Ms Atwood's writing in her novel _Surfacing_. That novel so spoke to me at that time in my life that I selfishly thought she had to be writing to me or for me, giving words to my feelings about my place in the human race and the natural world. I read that novel more than 30 years ago but I have held close Atwood's description of her protagonist's realization that she was a tree, and not just the object of a tree, but a tree leaning as an affirmation of my own presence in the world. And now with "The Ladrador Fiasco", Ms Atwood again speaks to me at a different time in my life, really, every person's life, when one realizes everyone's time on earth is limited and you can't do anything about that even if you have the right supplies. The story, really a story within a story, is in itself interesting, but I am enchanted by Atwood's loving portrayal of a family whose parents are nearing the end of their life journeys and feeling lost on that path. The story is particularly significant to me because my partner and I have recently had his father choose to travel that path with us. The mother and father in the story are so much my partner's parents that I could not help but smile at the description of the mother weeding the garden because she did not know what else to do. And I almost wept at the description of the array of the father's foot apparel. We still have a garage full of lawnmowers. Thank you so much dutch fly-babe for this delightful experience. I've pm'd uppity and will send the book on as soon as I have her address. It's on its way to uppity. By plane (not canoe), so it should find its way. received this lovely little book today,eh. As it is a quick read I will move asap. Thanks Pooker for your lovely card and note. Sorry to say this little book is stalled with me as after several PMs and ISO on the fora i have not heard from Miss-Efficieny. Shall I send it to the person after her? Loved this lovely edition of this book. I enjoyed the story within a story and the father reminded me of my mother who has Alzheimer disease. Book will go to Jenny-Lou-Who tomorrow skipping Miss-Efficiency. I apologize for having this little book so long -- we moved this summer and it got put in a box (*ack*). Anyhow, I just read it and I loved it! I love Margaret Atwood's writing and I loved the tale this book told. Thank you for giving me the opportunity to read this book. I will contact the next person on the list today. This little book is heading east to Grorser today. Margaret Atwood can spin a compelling yarn. Really enjoyed this short fiction. Have sent a PM to themarina so it can continue the journey. This little gem came in the mail today. The timing is perfect since I just finished a book and have yet to start the next so I'll squeeze in this little one! This was a good quick little read. Atwood is one of those people who I dislike greatly as an individual but her writing abilities can't be disputed. Even, or maybe even especially, in her short stories, she manages to create multi dimensional characters and stories in few words, a great talent not shared by many authors. A great little read. Thanks for sharing!!! This went out in the mail to crazy-book-lady this morning! Arrived yesterday in the mail. This *is* a small book! I should have it moving along within a few days. Thanks themarina! A nice little bookring book. (I think I read it the day after my journal entry, but a sick dog and visit from my parents conspired to severely limit my computer time.) I really like how the two stories are intertwined, but agree with a previous jounaler that it seems unfinished. Thanks for the ring dutch-flybabe! The book will continue on to jubby, as Shard02 has obtained her own copy and so doesn't need to read this one! Mailed to jubby today. Sent via airmail, so I hope it doesn't take too long to get to Australia! Wow! Look what arrived in the post today. It is that crazy time of year, when I've got a thousand other things that I am meant to be doing rather then reading, but this one is only waffer thin! Ooh, I do like this format. Small, compact and short. Like those before me, I read it in a few minutes, while lying in bed. We all go on grand adventures - which October, and where is irrelevant. And who would have thought you could eat shoes? Posted off to CatharinaL with another bookring. Arrived! Thanks for sending, jubby! I'll get to reading this asap. A great little book this was! I adore Margaret Atwood; she surely never lets one down. Quite charming and superbly written, this is a twin story about Canadian history, explorers in the wilderness; and aging parents, memories and loss of memory. Stories. The book itself really is a tiny item! I started reading last night in bed, and finished just a minute ago. I could very well have spent a lot more time on this, just feeling the words and tasting the flavors. I don't know; maybe I'll have the time to re-read before sending on to the next participant. [28 Jan] I PM'd clarrie-rose for her address; I'll send the book on asap! Received today, thanks CatharinaL. I'm looking forward to reading it. I do love Margaret Atwood. I have only ever once been disappointed by one of her books, and it wasn't this one. Forlorn is the word, but she writes so beautifully. I'll PM cats-eye now and try to get the book moving asap. Sent on to cats-eye today. This is a beautiful, melancholy little book. Small but perfectly formed, and right up to Atwoods usual high standard of delivery. I'm so pleased to have been able to participate in this ring, as otherwise I might have missed out on reading this little gem! Thanks, dutch-flybabe for organizing this! winging its way to rahar109! Arrived in the post today, thank you. What a lovely little book! Read it in about 15 mins while lying on a chair in the garden in the sunshine. I'd love to read the other book mentioned at the end, about the ill-fated expedition. PMing librissima for her address. 2/05 - Have not heard from librissima, so have PMed her again in case the original message didn't get through. Posted to librissima yesterday afternoon. I liked it very much, it''s a simple story really, but given in a very moving way. Received yesterday. It's small so I will read it soon and send it on. Thank you! A very sweet little book, written with the known beautiful style of Margaret Atwood. Maybe a little too short, I finished it very quickly and it left me craving for more. In any case, I liked it very much. I will be sending it to Jessibud ASAP. Thank you for the bookring dutch-flybabe! How is it possible that this book was mailed in Greece on Oct. 2 and arived here in Canada today, October 5??! That's 3 days!! I've had mail take longer than that to get across the city! It is our Thanksgiving long weekend here in Canada so I will try to indulge and have this finished by the end of the weekend. Thanks for including me. This is one well-travelled book!! I am one of those who is very divided in my feelings about Atwood. There have been a few books of hers that I've loved (Cat's Eye, Alias Grace) and a few others that I've hated. And while I often love to go to author readings, she is one person I would NEVER be able to listen to. She has a truly horrible droning voice. That said, I did enjoy this little book. Please forgive me for being dim, though, but I am a bit confused about a couple of things. I am not familiar with this Bloomsbury Quid publication but inside, it says "First published in Great Britain 1996, copyright 1996 by O.W. Toad. The moral right of the author has been asserted"
What does this last bit mean (I feel like I should know this but I don't), and who is O.W. Toad? I will post this off to cathyinoz tomorrow. 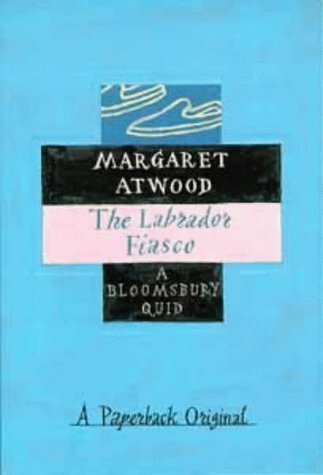 By the way, for anyone who would like to own a copy of The Labrador Fiasco, the story is included in Atwood's book "Moral Disorder". LOL! How goofy! If she was going to use a silly pseudonym, why bother putting her real name on it as well? And if she was going to use her real name, what's with the pseudonym? Thanks for enlightening me, crazy-book-lady. How are you doing these days? Long time no see! I now return you to your regularly scheduled bookring, en route tomorrow to parts down under! I'm half way through this little gem -- been reading it to circuitboy and loxinsox so will get them to journal it as well. I love Atwood (O.W. Toad is aTWOod twisted), and everything she's ever written (except a few of her early poems). I'm glad someone mentioned the original book that had this story in it from 1905. I'll keep an eye out for it. Once again Atwood intrigues me with her story within a story treatment. Thanks so much everyone for sharing this book. I'll briefly journal again when I finish it. A very good short story! I will send it off to Elsita on Monday, Dec 17th. put it in the mail yesterday, thanks for sharing this little gem! Thank you so much, dutch-flybabe, for sharing this book. Please send me your adress to have the book back! The book is back home until I get the next reader's address :-) I must say the book still looks good after having been read quite a few times now. Thanks everybody for participating! Wow, this little book has been travelling quite a lot! It arrived in Amsterdam today. Will start reading it soon! Like many other readers, I enjoyed this story. Really sad what strokes do to mind and body! I experienced that with my father-in-law. I too would love to read more about the explorations of Wallace, Hubbard and George. Will try to find a copy of this book! Thanks for sharing, dutch-flybabe! It is going off to Yilla this afternoon. And there it is! Thanks for sending Dutchbooky and dutch-flybabe for sharing! Everything has already been said about this book! I enjoyed it, but it made me feel sad too. This cute booklet arrived in my mailbox today. Will read it ASAP. Thanks, Yilla, for your thriller-postcard ;-) and for sending it. Nice little booklet. Perfect to fill the gap between the two novels of 500+ pages I just read and am going to read. I read Surfacing long ago, maybe I should try some more Atwood. Will keep it in mind. Thanks, dutch-flybabe, for starting this ring. This lovely little booklet is now with me. Thanks very much for sending it to me, MaaikeB and also for the really beautiful postcard. Beautiful subdued story, very moving at times. Thanks for giving me the chance to read it, dutch-flybabe. Update 28/3/2008: Book is on its way to dutch-book. I couldnot send it away without reading it once more, though. It was just as beautiful the second time around or maybe even more so. Enjoy, dutch-book! I received this book today. Wow, how small and tiny. I'm looking forward to it, since I've read so many enthusiastic journal entries. Nice little booklet. I think it would be more beautiful if my mother tongue was english. That's why I started looking for a dutch translation, so that maybe I could appreciate it even more. Too bad I couldn't find one. Will PM dutch-flybabe for her adress. I'm sending NMReader a whole bunch of tea sachets to do crafts with and I'm sending this book along as RABCK, because I saw other books of Margaret Atwood on her bookshelf/wishlist. Happy reading! I always like to journal when I start reading a book although as small as this book is I could have waited until I finished it. I am approximately halfway through the book and if I didn't need to keep a roof over my head and food on the table I would have finished it at least 1-2 hours ago. I am enjoying this book so far and should complete it before bedtime tonight. What an enjoyable short story! I very much enjoyed the short story and now feel drawn to learn more about the expedition that it talks about. This is a wonderful book and I want to give other the opportunity to pick it up. I decided to release it into the ABC Bookbox knowing that others will read this short book while the box travels. A short quick read contrasting the Labrador wild tale with the story of aging. I am taking this from the ABC Bookbox. Thanks for sharing!